When is a card not a card? 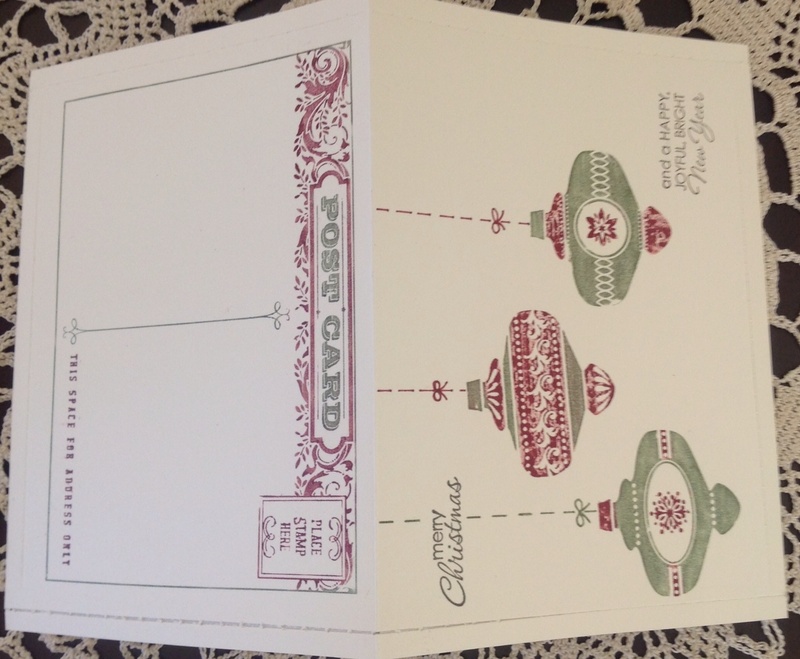 Anything is possible with Stampin’ Up! When is a card not a card? When it’s a letter-card. This Postcard stamp by SU (and I did warn you that you’d see heaps more of it from me) allows you to make your own cards – postcard style OR! letter-card style. 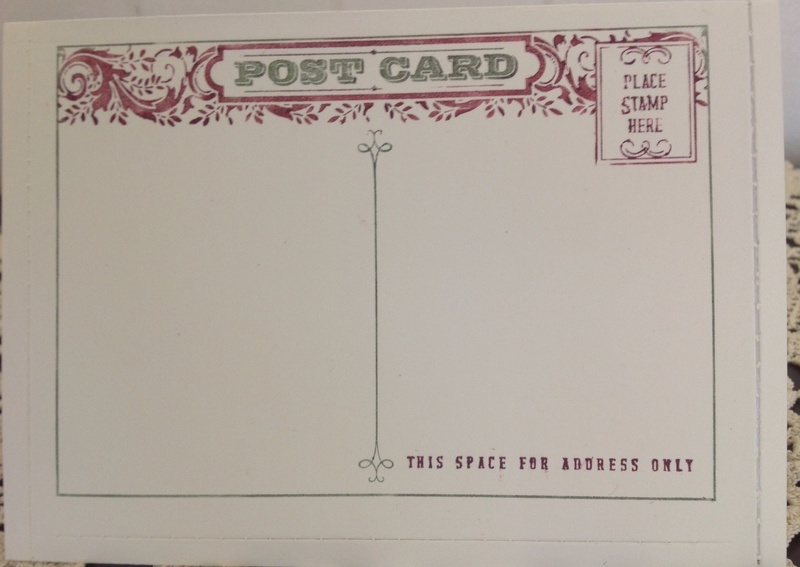 Here you have a place to affix your stamp and area to address your card. Here is a pic of the card opened out flat. Interested how to seal your letter card? Well SU have released a new perforating blade that fits it’s new rotary arm, that fits the SU trimmer. How smart is that???? So I just ran the perforating tool around the perimeter of the letter card, seal up with a bit of Tombow glue or two way glue pen and it’s into the post! How quick, clean and easy is that. 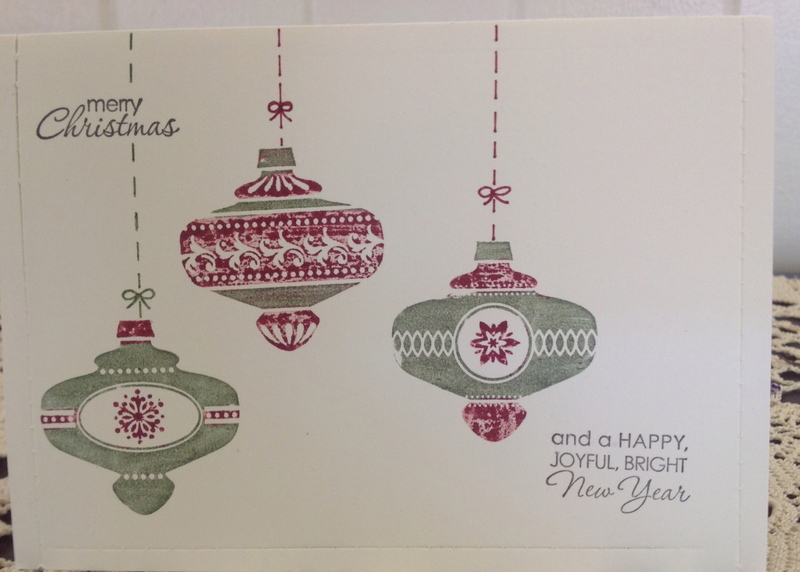 Call me now to order your Postcard stamp and perforating tool and streamline your Christmas card making this year. This card has no layers, no bling but still gets into the swing of Christmas. Stay tuned for a more decorated and layered version.